Yuck. It always happens at some point. Those irritating little red and brown bugs hitch a ride on some product and settle into your kitchen, making a new home out of foods you’d rather not share. They buzz around the eyes and ears, you swat at them in vain. That’s why every house needs a fruit fly death trap. Ours is a simple, homemade DIY that is washable in the dishwasher, took only a couple minutes to make, and has been with us for years. It’s so simple, it was a “where has this been all of our lives?” moment once we saw it in action. We picked a glass jar with a screw-on top out of the recycling bin. I believe this one was a Nutella jar. 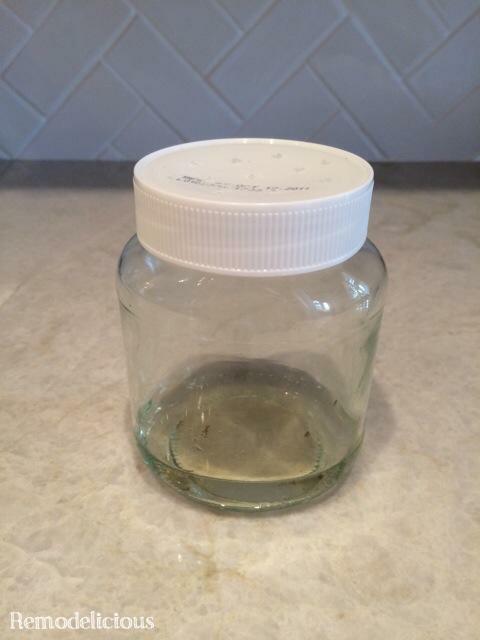 A glass jar will last much longer (ours has been around for YEARS and years) and it’s easier to clean + see the dead bugs — which is much more satisfying than it should be. Just take a drill and drill several small holes into the lid. I took the lid off to do this. The plastic lids are soft and very easy to drill into. Just make sure you have something underneath, like some scrap wood (in case you’re as sleep deprived as we are and forget these things). 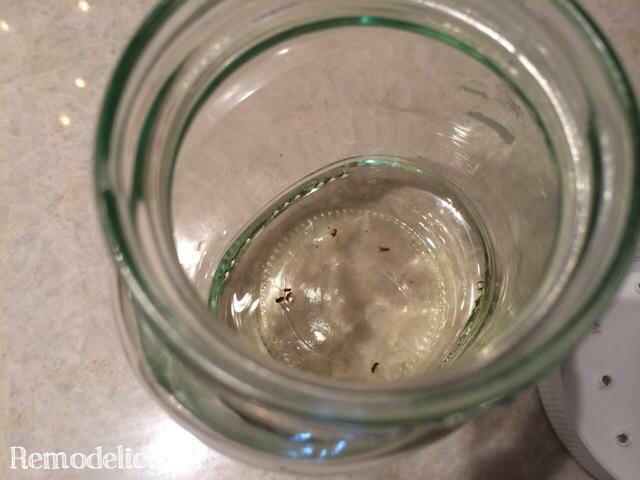 I’ve seen tutorials with all sorts of advice on what to put in the jar as fruit fly bait. Everything from vinegar to sugar water. But, I’ve noticed that without fail, when we have fruit flies & a try to drink a glass of white wine, there’s one or three floating inside after I leave my class unattended for a moment. 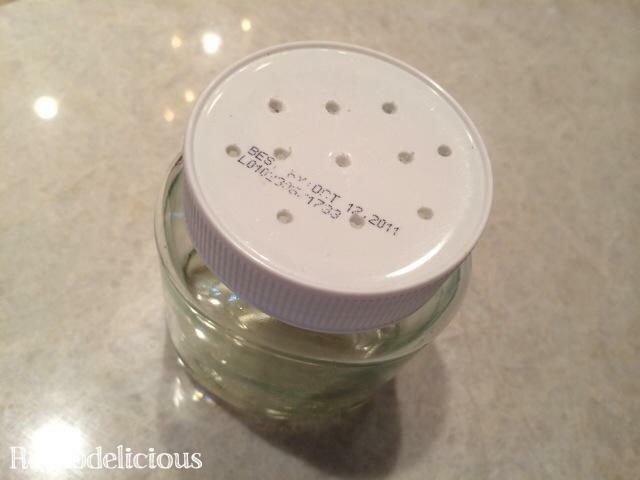 It’s the most effective fruit fly bait I’ve found. Not sure of they prefer a chardonnay or pino grigio, but wine seems to be irritable, lasts for weeks on the counter, and white wine lets you easily see your success. So, whenever you inevitably find yourself having to defend your home from bugs that are nearly impossible to catch with your clunky human hands (we used to swat at them with a wet towel) just set up your trap and sit back with a glass of your favorite white wine. It usually only takes a few days for our home to be fruit fly free again. Hi, I want to subscribe for this webpage to take latest updates, so where can i do it please help out. Great Web site, Keep up the fantastic work. Thanks a ton!